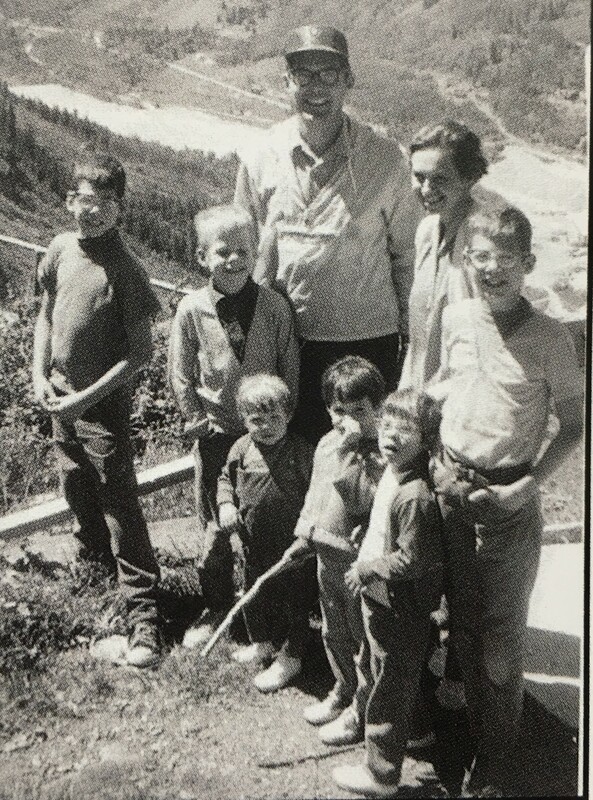 Author is the smallest child. These adventures created my love for science, nature, and the outdoors, ultimately leading to my choice to become a civil engineer, graduating with an emphasis in water resources and environmental pollution control. As an environmental consultant, I spent the first decade of my career assessing Superfund sites and other contaminated properties, and later working with industrial clients to keep them in compliance with environmental, health and safety regulations and to prevent them from negatively impacting human health, and the environment. For the past five summers, I have been blessed to explore the country with my own children, traversing this great land in my Jeep Grand Cherokee. So far, we have visited 45 states and Canada in our “summer tours,” exploring over 70 National Park System (NPS) sites, and many other fabulous national treasures. Each park, preserve, historic site, battlefield, and seashore means so much to me in so many different ways. There is the beauty and grandeur of the mountains, canyons, and forests, the awesome expanses of our national seashores, badlands, and grasslands, and the incredible history of our nation…the good, the bad, and the ugly. 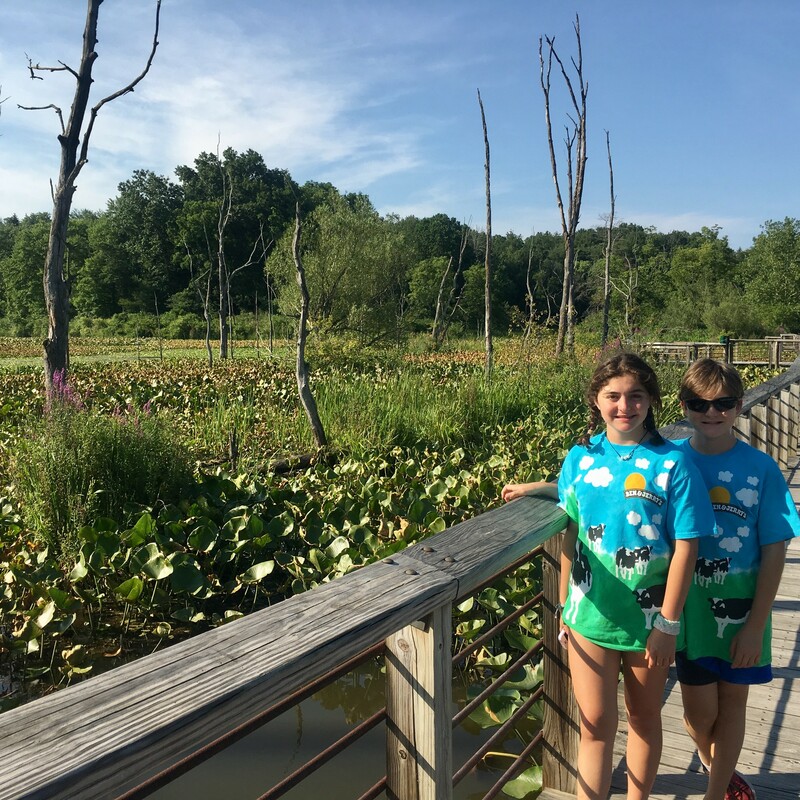 I consider it critical that our children learn about the great beauty, diversity, and history of our country as they grow, becoming stewards of our Earth, preserving and protecting our culture and environment for themselves and future generations. Over the miles, we have explored many of the “classic” national parks—Rocky Mountain, Grand Tetons, Great Smoky Mountains, Shenandoah—as well as numerous important, lesser known NPS sites that capture the spirit of our nation’s history in its glory and pain: Harry S. Truman, Little Rock Central High School, Tuskegee Airmen, and the Trail of Tears, to mention a few. Last summer, we visited a park that I hold near to my heart because of the lessons it can teach us on the sheer resiliency of our nation: Cuyahoga Valley National Park (CVNP). Located along the Cuyahoga River in Ohio between Cleveland and Akron, CVNP provides sanctuary for native plants and wildlife, allowing us to soak in nature as we explored the forests, rolling hills, and farmlands, walking along the Towpath Trail, and following the historic Ohio & Erie Canal. The magnificence of this park lies not only in its beauty, but in its incredible history. The park lies within a portion of a river and canal system vital to Ohio’s and our nation’s commerce during the Industrial Revolution, a time in our nation’s history that saw explosive growth in the economy, population, and, tragically, environmental contamination. I chose this site for our summer adventures as I knew the story of the Cuyahoga River, how it burned over a dozen times, and how the last fire in 1969 is often credited with creating the final spark that ignited the passage of the Clean Water Act of 1972. The 1969 Cuyahoga River fire was actually not the worst of this river’s fires, no photo exists of this fire, and the Cuyahoga River was not the only river in the country that historically burned due to industrial contamination. 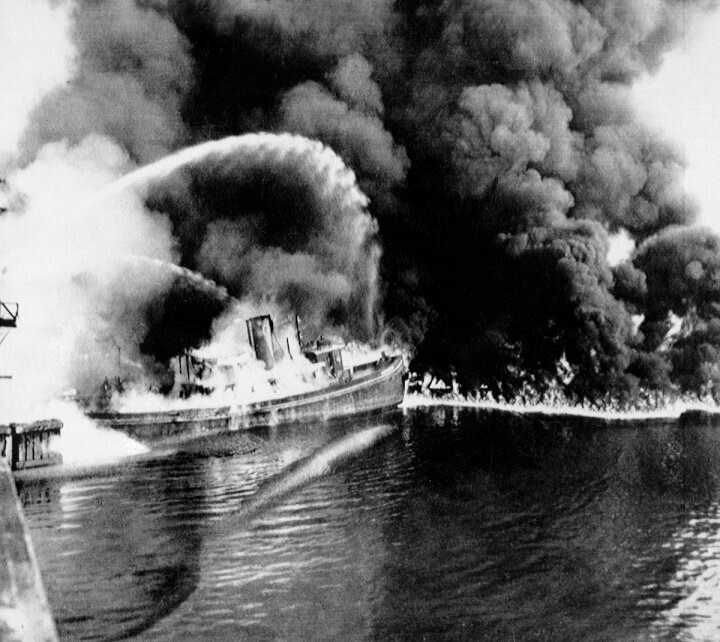 In fact, by 1969, throughout the country, efforts had already begun to clean up America’s waterways; however, this final fire on the Cuyahoga River underscored the need for continued progress. Source: Time magazine. The Burning River that Sparked a Revolution. Jennifer Latson. July 22, 2015. The destruction wasn’t the memory I wanted to create for my children; rather, that we as a nation have learned from our mistakes and have been able to correct them. Since then, the Environmental Protection Agency (EPA), state, and local environmental agencies have promulgated rules to prevent environmental contamination, requiring industry to properly manage toxic materials and hazardous wastes, and protect our water, air, land, and workers. Beyond the regulations, EPA and states also play a crucial role in facilitating the cleanup and redevelopment of contaminated industrial sites, bringing together public and private entities to eliminate the numerous hazardous and toxic waste sites that still exist across the country. Through the Brownfields and Land Revitalization Cleanup Enforcement and related programs, we are cleaning up real and perceived contaminated properties, returning them to productive use, protecting human health and the environment, returning valuable land to its highest and best use, restoring natural habitat, and bringing recreation, jobs, employment income, and tax revenues to communities. Just as we need industry for a strong economy, we need our businesses to be strong environmental, health, and safety leaders, operating not simply to comply with regulations, but to go beyond, becoming part of their communities, considering future generations, and protecting their own employees and the environment, as well as their neighbors. We need to be reminded of the river fires of the past, showing our children who have never experienced how polluted our country was photos from America’s past, before we had regulations, when the smell of oil was considered the smell of wealth, not poor health. In a country where 1,341 Superfund sites, an estimated 450,000 brownfield sites, and numerous state-lead environmental cleanup sites still exist, we must constantly remind ourselves that preventing environmental catastrophes and protecting our workers and communities is paramount, not only to human health and the environment, but to the nation’s economy. I found that my favorite area of CVNP was The Beaver Marsh. Originally home to a beaver population in the 1800s, the area was developed as farmland during operation of the Ohio and Erie Canal, and later used as a junkyard. Eventually, the junkyard was cleaned up through a community effort, and the area earmarked to become a parking lot for CVNP, as it was already cleared and leveled. The beavers had a different plan. While the land lay vacant waiting for parking lot construction, they moved in. 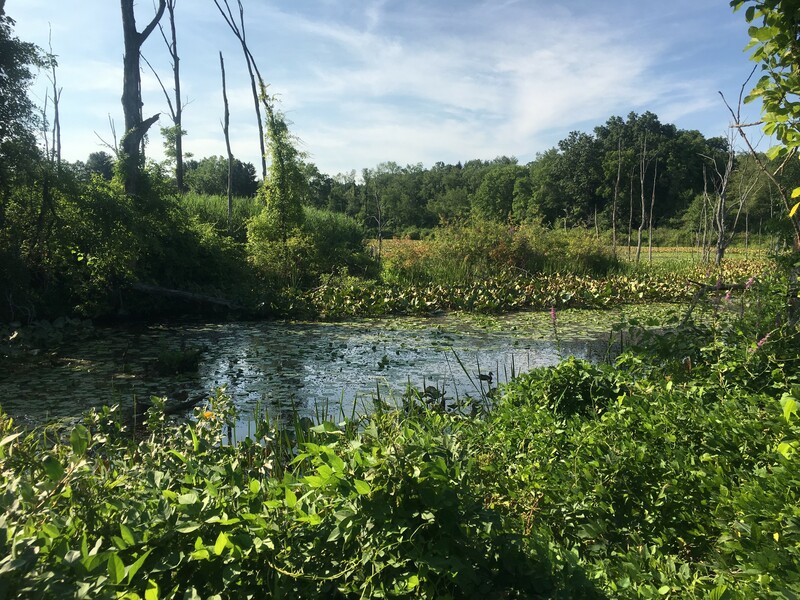 In an awesome display of the power of nature in resiliency, beavers returned to the area after 150 years to dam and flood the area, recreating important wetlands, activating seeds that had lain dormant for over a century, and returning the area’s natural beauty. How is that for resiliency? We must all learn from history, continue working together to prevent contamination, and clean up the sins of our past, so we do not leave our children and their children messes that take centuries, and billions of dollars, to fix. National Park Service. Cuyahoga Valley National Park. Cuyahoga Valley National Park: The Beaver Marsh. Adler, Jonathan. The Volokh Conspiracy: The fable of the burning river 45 years later. Washington Post. June 22, 2014. Loria, Kevin. Vintage photos taken by the EPA reveal what America looked like before pollution was regulated. Business Insider. October 9, 2017. Fires on the Cuyahoga River. Last Updated July 8, 2006. Ms. Luman has over 29 years of experience as a consultant and project manager in the environmental field.